Arizona Central endorsed Hillary Clinton this year for president. It was the first time the paper has endorsed a Democrat. So, this year they endorsed a Democrat AND a criminal! Subscribers dropped the paper like a greased pig after the announcement. Today Arizona Central released a new poll that has their candidate Hillary Clinton up five points over Donald Trump. They were able to come up with this result after they polled nearly TWICE AS MANY Democrat as Republican voters! AZ Central polled 316 Democrats, 174 Republicans and 218 Independents in a Republican state! 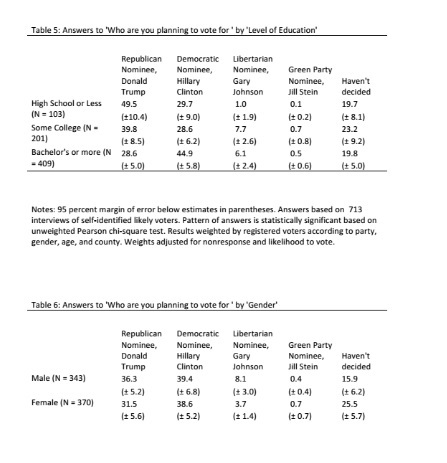 AZ Central also polled 370 women and 343 men and TWICE AS MANY College graduates as those with a high school education or some college… Trump’s base. That’s how the corrupt media gets a poll to favor crooked Hillary Clinton – even in a red state!